We've had to make some adjustments to our original soil/compost mix that we planted everything in. We had to add some nitrogen and fish fertilizer and more compost. 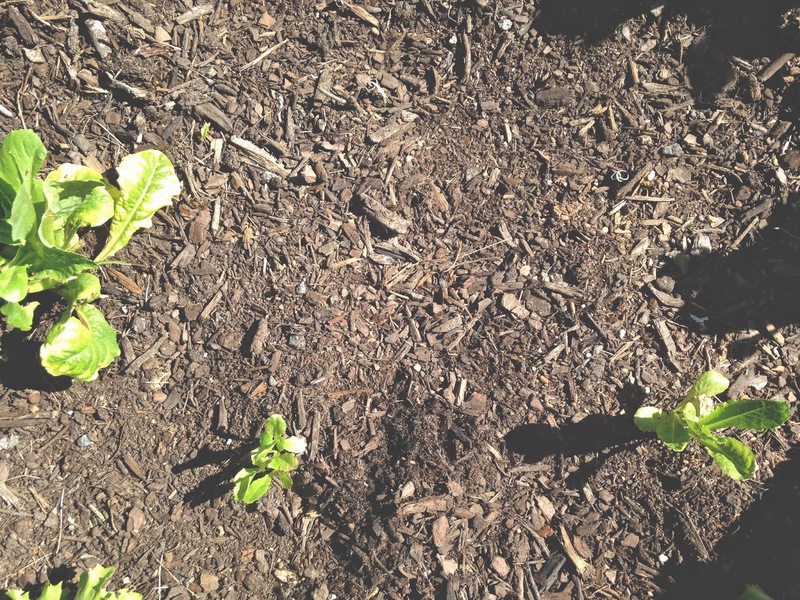 We noticed that the spinach was not doing well at all and was turning yellow. We discovered this is due to a lack of nitrogen in the soil. After those additives we noticed our plants looking much healthier. Next year we will definitely test out our soil to make sure it has all the right nutrients. 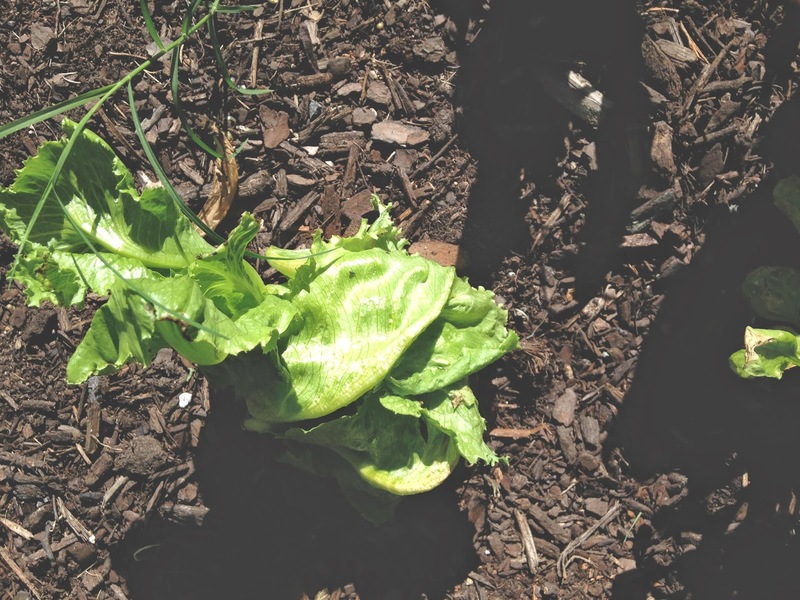 This is one of our iceberg lettuce plants. Some of it grows into balls like you see in the stores, and some of it just grows straight. The ones that are growing into balls blow my mind. How does it do that? 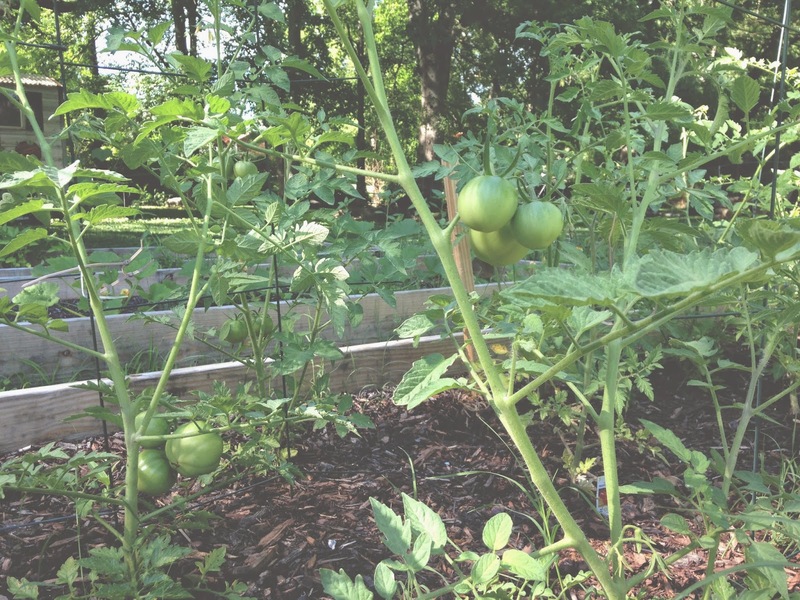 Our tomatoes are growing like crazy. 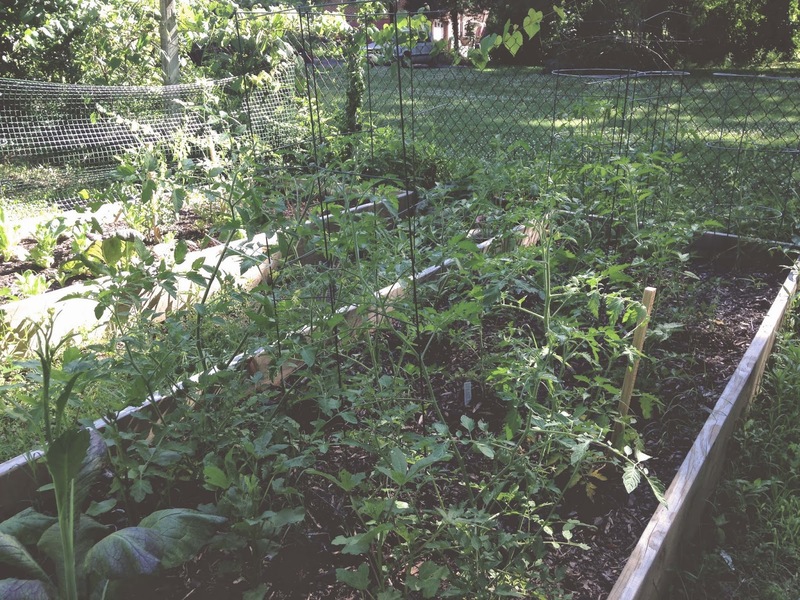 We have so many tomato plants. 16 I believe. 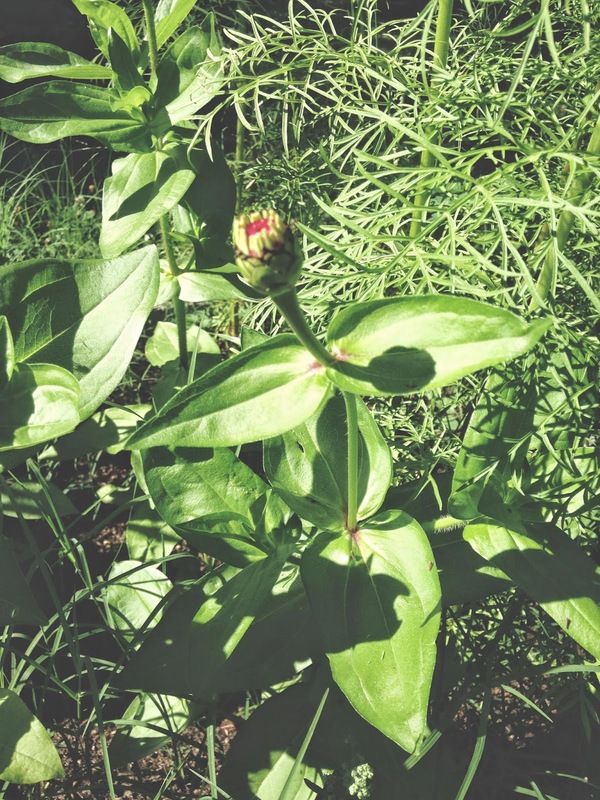 Casey has a few smaller cut flower gardens and these are Zinnias that are about to bloom. 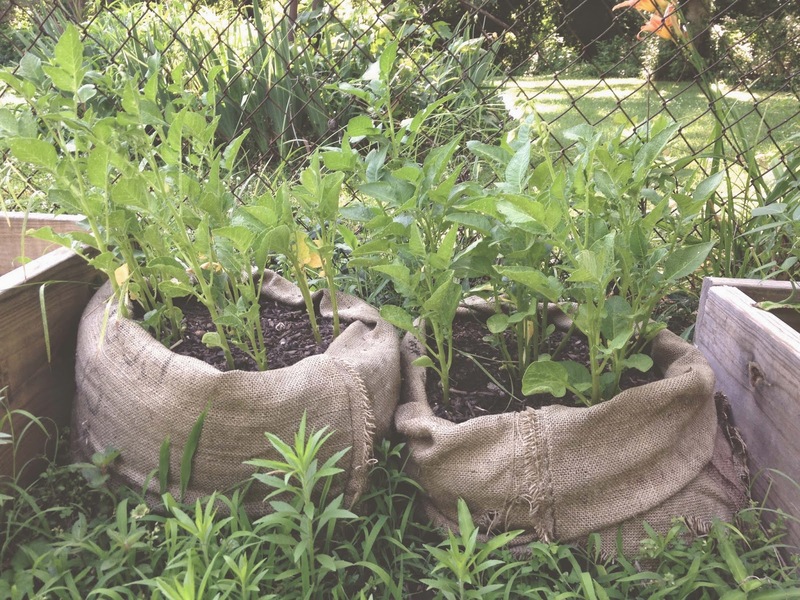 Our potatoes growing in a sack are a little wild. 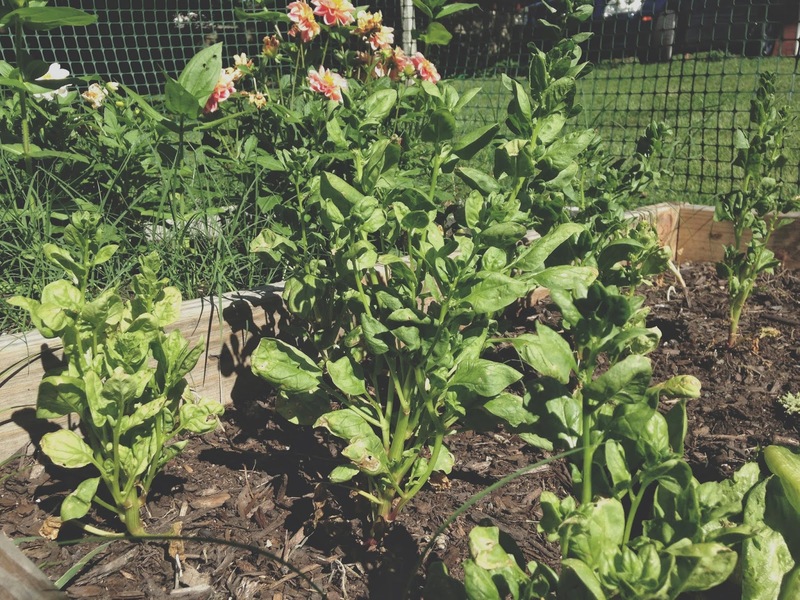 We planted romaine lettuce seeds when we planted our transplants so that more lettuce would still be growing when harvested the first round. We weren't sure if the seeds were going to grow but one day these little guys just shot up! 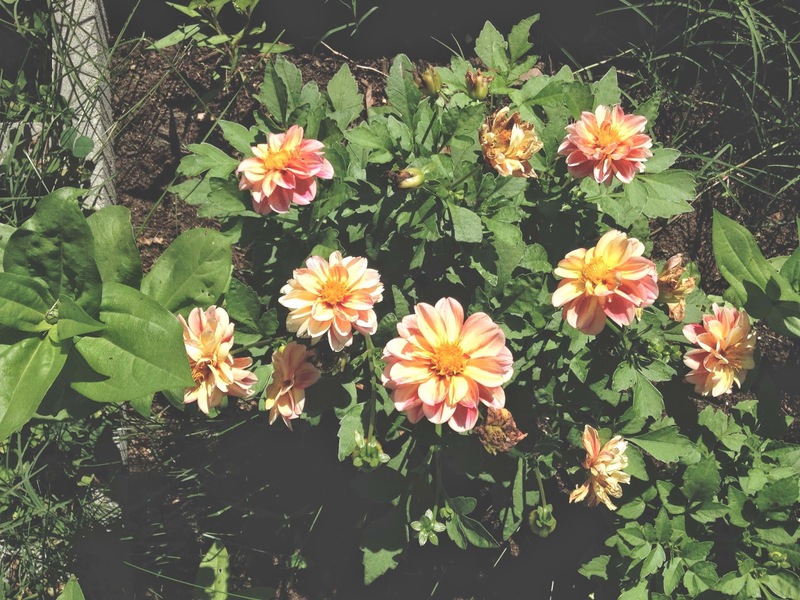 We planted these dahlias pretty early and it froze soon after. These guys looked like they weren't going to make it after the freeze because they turned brown and nasty. But they are doing so well now! We started these plants indoors from seeds and we thought they weren't going to make it. 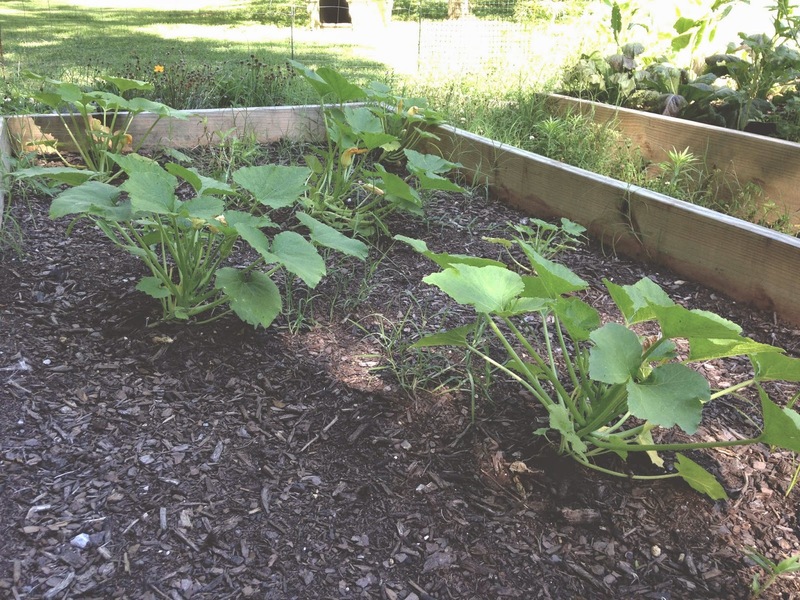 Our seedlings had a rough time, but now our squash and zucchini are growing so beautifully! Our spinach bolted. Boo. We got one round of spinach and then it did this... so now we will give it to the chickens. These are green beans on the left end and the rest is different kinds of peppers. 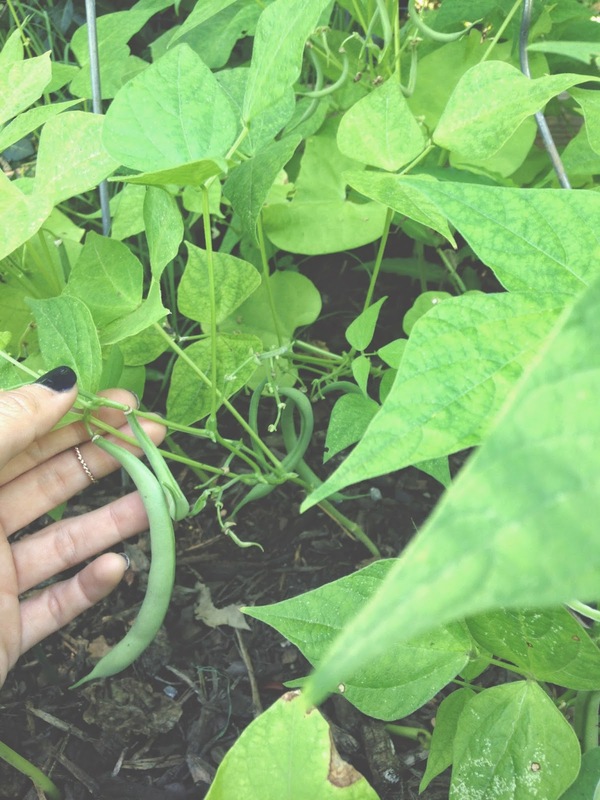 There are so many green beans! We didn't grow these last year so these are so exciting! Actually, we planted them last year but they didn't grow. So, yay! One of us checks the garden out every day and almost every day, something new has grown. It's pretty exciting and satisfying. If any of you have some garden knowledge, feel free to drop it. 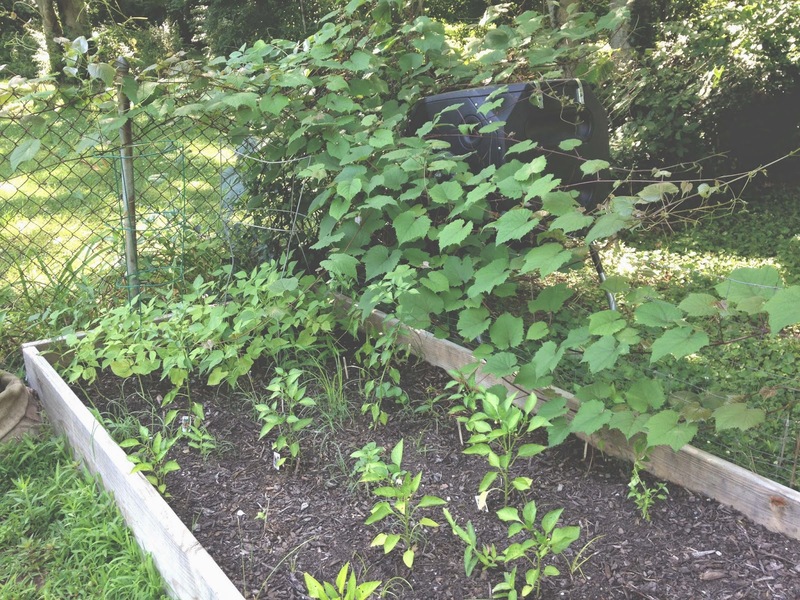 We love to hear about other people's gardens and problems and solutions! Whoa, seriously jealous. We just bought a few vegetables about 3 weeks ago. They seem to be growing so slowly :( I'm mega jealous you're are so close to being ready!